The owners still need to apply for demolition permits for several of their 15 parcels, according to the Department of Buildings, and planning officials said the Guttmans had yet to file plans outlining public waterfront access for the site. 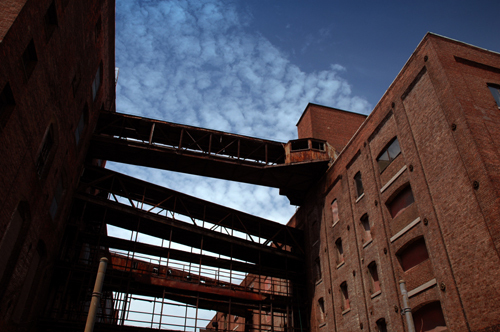 Once these approvals have been obtained, development can move forward in what remains a largely forlorn stretch of 19th-century industrial buildings and crumbling warehouses. Interestingly, a City Planning Department spokesperson tells the Times that several projects are "ready to break ground" and that developments will include a riverfront esplanade. The paper quotes her as saying, "It's a very exciting time for the community." How much do you think the homeless guy got paid off to set the fire? I mean, this is so textbook it kills me. Williamsburg Waterfront: Where's the Help?